Last week my dad emailed me the link to the Rolling Stone review of Future Islands' Singles, inquiring if this was the same band Impose wrote about recently. On the barometer of band hype, “email from dad” measures near the top. Opposite that notch, near the bottom of band hype, lies our coverage for the past five years (at least); coverage we've been steadfast in providing ever since Samuel T. Herring changed our lives out in the rain at Party With Tables (we all look so young). It took a lot to not reply to my dad in anger, to not tell him that Rolling Stone's review might as well have been printed on a Hallmark greeting card and that David Letterman's reponse to that performance proves he's no longer human, but an android programmed to cackle and say 'boy, that's something' no matter who enters his studio. Instead I wrote back, “yeah Dad, how about that?”. In advance of On The Waters, we'd already decided Future Islands deserved canonization, and not the musician's equivalent to sainthood, but true sainthood. 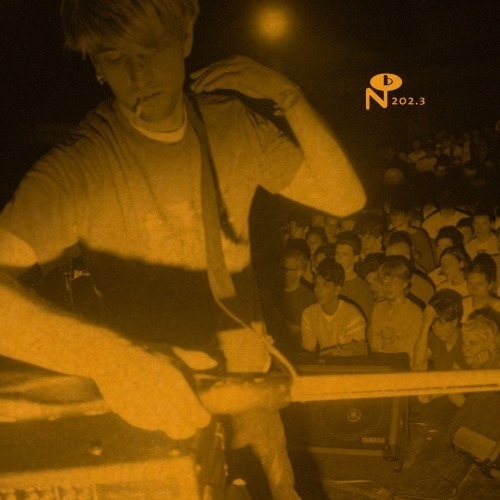 With every Thrill Jockey release it seemed inevitable to be the one that broke big. We've been ready for this moment for a long time, ready since that day in the rain, since In Evening Air got us through breakups, since every time we saw them perform. Whether it was in our Brooklyn stomping grounds, a rogue visit to Baltimore, or warehouses in Detroit and basements in Sacramento. We've been ready for Future Islands to be the generational deliverers of a renewed faith. We don't mean faith in a religious sense—though it nears it—but as a universal understanding that being devoted to something will eventually pay off. That hard work, giving your greatest effort whether everyone is looking or no one is, will change your life for the better. 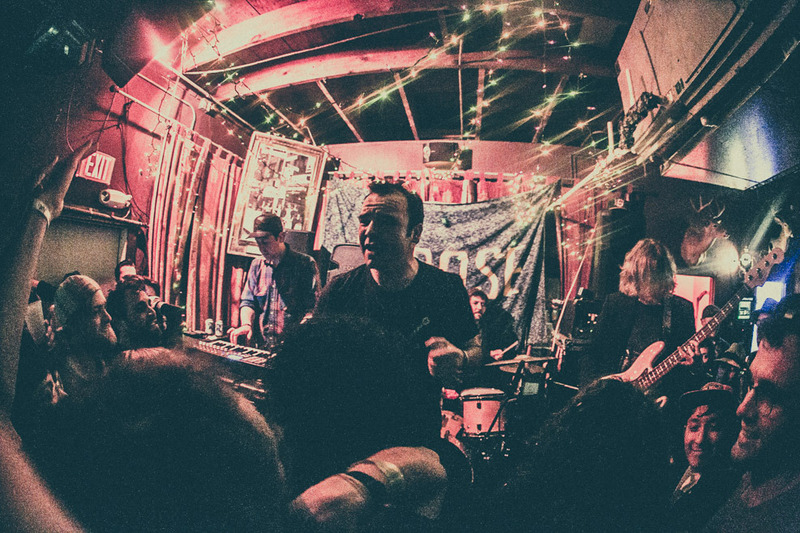 When Future Islands took the stage at our Austin Imposition this year, they looked out to a narrow dive bar, packed wall-to-wall with smiling, eager-eyed faces ready to dance and jump to every song. They could have opened with “Seasons (Waiting On You)”, the single that sparked the ascension, but they chose “Inch Of Dust”, a first album cut with the refrain “call on me / I'll be there always”. For that they are living saints. Through one small creative decision, Future Islands sent an immediate message that nothing has changed for them, and thus we have nothing to fear. So who do we talk to about this canonization thing? You don't usually get to see the precise moment when a band erupts from murmur to scream. For Future Islands, it happened on camera: Their performance of “Seasons (Waiting on You)” on David Letterman’s Late Show suddenly rocketed the Baltimore trio to a wide national spotlight. In those critical minutes, singer Sam Herring held a gaze that reminded even viewers at home that Letterman's studio was packed with living people just off-screen. He seemed completely unconscious of the cameras that leered at him. He sang with an urgency that can rarely be held by a television screen or a YouTube window. Of all the small-label standbys to break big, Future Islands is one of the strangest. 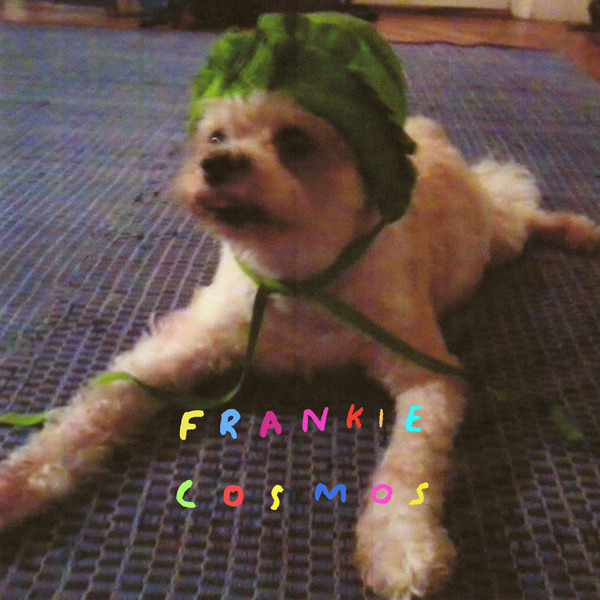 The nimbly crafted world of Frankie Cosmos is written like a children's book. From the characters—imaginary friends and animal grief, romantic Ronnie riding in on a stallion—to the language, marked by childish head-shaking and pouting, Zentropy, Frankie Cosmos's debut studio album, is whimsical and wide-eyed and colorful. 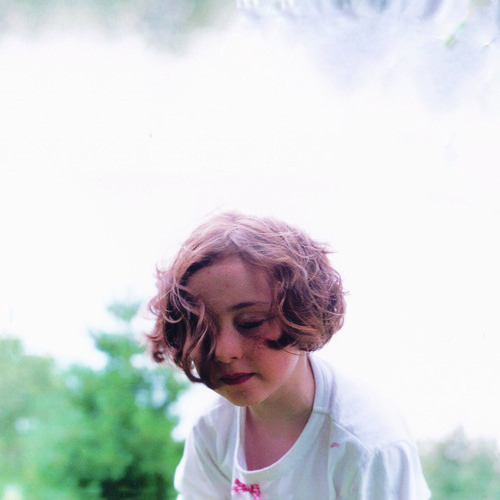 Greta Kline, who has long been making music under pseudonyms like Ingrid Superstar and Frankie Cosmos from the confines of her bedroom, risks isolating listeners with her tendency to filter through adolescence, to sweeten rather than sharpen, to feel hard and fall hard. But it's in this tendency that Zentropy particularly shines, serving as a blithe reminder that delicious pain can be even more fulfilling when we remember it in retrospect. Among the immediate reasons to acquire the LP are "Tommy Boy", a derranged, fracture of paranoia in which Beth Israel employ the dialogue in a scene from Chris Farley's eponymous classic, turning his spazzed attempt at leveling with a roadhouse waittress into weirdo lyric affirmation. The risk of being too clever is cut off at the jugular by the frontman's ability to deliver Farley's lines as though he's Private Pile in Full Metal Jacket, slumped over a toilet with a thousand yard stare in his eyes. 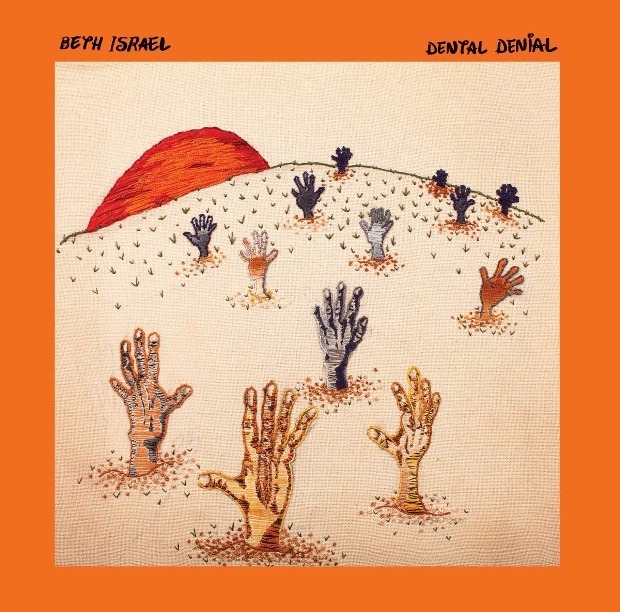 Much like the Yuppies record on Dull Tools, Beth Israel tap into a sick skull consciousness that causes the guitars to bend with scoliosis and the catchiest of pop passages to seem like accidents by savants that escaped padded rooms. Hinton’s latest release, the six-song EP Panasonic, is a more consistent effort than the last, and shows him wisely expanding on the elements that set his style apart. Gone are the pleasant, undistinguished instrumentals that cluttered Nonfiction's back half. 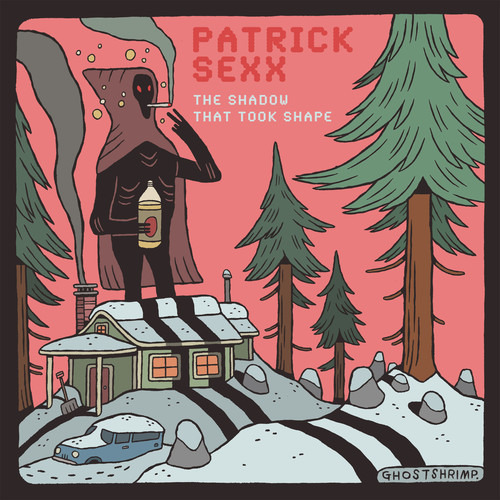 Panasonic is instead a tight, well-balanced 24 minutes, beginning with the elegiac mood setter "Slow Build" and ending with "Washingtons", an irreverent, elated sequel to "Metal Swing". The samples themselves also sound more formal, the result of their coming, in some cases, from higher quality recordings. 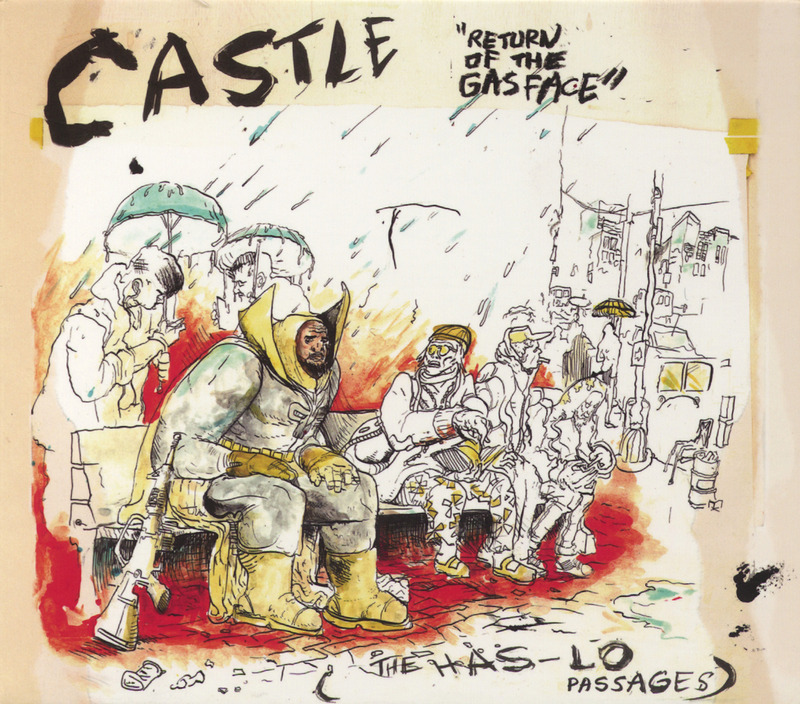 In July 2013, Castle debuted on Mello Music Group with Gasface, a solid self-contained (i.e., self-produced) outing and introduction to the North Carolina rapper. His delivery was gruff, which was offset by a diverse ear for production that explored soul-tinged traditionalist sounds and boss level, glitch rap. 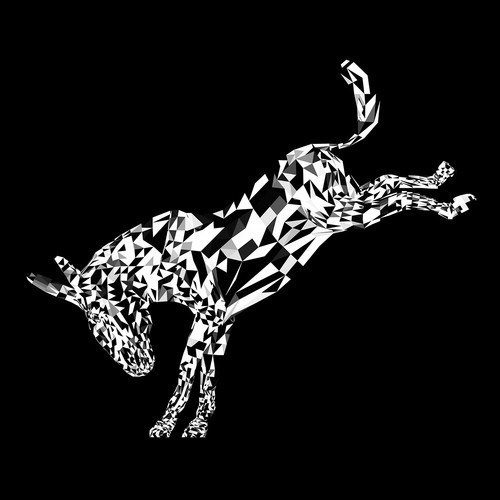 Fellow labelmate Has Lo was such a fan of Gasface, he envisioned an entirely new identity for it, putting Castle back in the lab to re-record verses, adding his own verses and production style, to create Return of the Gasface (The Has Lo Passages). It's like if Darren Aronofsky loved The Dark Knight and so he gathered up the actors, dusted off the sets, and refilmed it, just because it felt like a good idea. What we hear on Rat Conspiracy was, at its moment of production, made without the interference of any significant outsider money— and since “authenticity” only lasts until its moment of creation has passed, nothing is lost in this music by making sure it is introduced to a new set of listeners. The story that accompanies the music is that of a group that operated by a set of ideals, and so if this reissue (as all reissues kind of are) is an attempt at “canonization,” whatever that really is, there is undoubtedly an ethical element to it: Unwound should be remembered, so the story goes, for their unwillingness to bend to commercial influence. Axxa/Abraxas must be the most compelling bit of Woodsist/Captured tracks fan mail ever conceived. 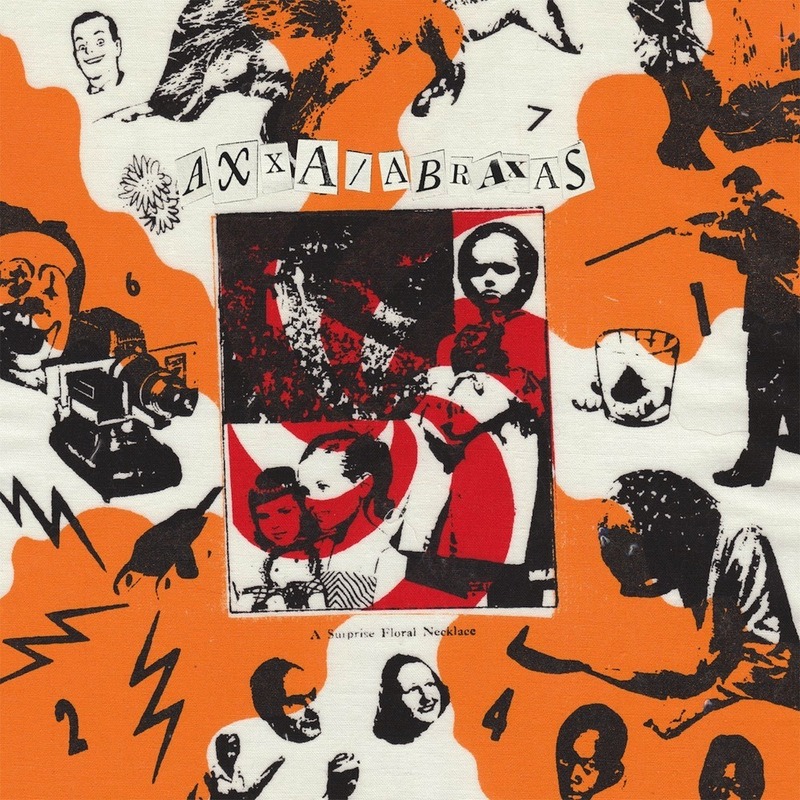 The debut proper from 23-year-old singer-songwriter/multi-instrumentalist Ben Asbury, who’s been recording solo under the Axxa/Abraxas moniker since 2011, this self-titled full-length primarily contains re-recordings of prior cassette scribbles. It’s also the kind of modest success to be expected from someone who perhaps, in his vinyl shrine, unhesitatingly puts Real Estate on the same tier as the ‘Dead, files Beach Fossils and Byrds records together, and (especially) keeps his Woods LPs right by his Neil Young ones. On "Outside The Gates" you can hear the band hitting their stride and sound where the generosity of fun with lyrics is put to a celestial cloud soaring arrangement that even provides lyrical notes on their process: "You'll always find me picking and grinning, and listening for the sounds of the hi-hats ticking (repeat)." The anthem power high-riser of "Clearhead Real" shows sign of a big stage song that has all the makings of a tour song ready for the festival circuit. A found and gathered sound collage marks the flute propelled interlude, "Lolo Boy" that provides a segue way intro for the clever and creative magic of, "Twiggy". This where you witness the quick chord change responses and wits of Plateau Below, as they turn inside-out the so-called safety with things that psych-lounge tags alone cannot provide in qualitative and quantitative accounts. The melodies are grounded in the Make It Happen work ethic, like the organ and synth motivations on, "Things To Do 2" and "Things To Do 1". From the indolent and lost years, Alessandro seeks a balance within the scales of life that makes sense with a sentimental set of songs that asserts the resolve of self-affirmation. 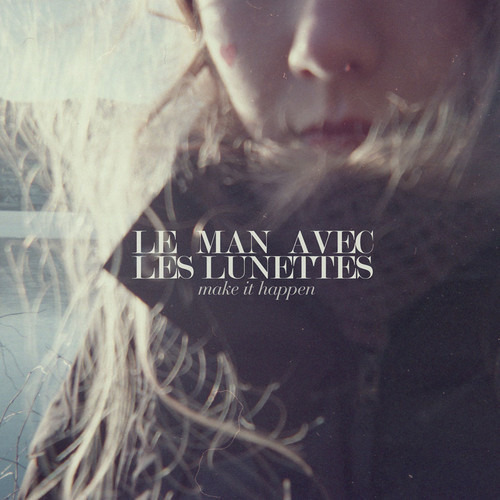 Le Man Avec Les Lunettes rewrites the lullaby books of tradition throughout the album, as "Summer summer" is unofficially the song of summer 2014. The push to get back in tune to nature and the world around is explicitly sung on, "Get in Touch", to the closing ode to musical exchanges and conversational correspondence by, "Postcards". Make It Happen makes its exit like its entrance, with gorgeous choral pop lullabies to soothe the aches of the world with something beautiful.